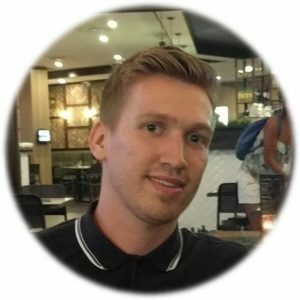 Tech/Customer Support agent and Blog Manager at Trustico® by Red 16, Inc.
Mitchell Cornish is a Griffith University graduate with a Bachelor of Arts majoring in Politics & Foreign Relations and Journalism. He also completed a Diploma of Digital Design. Mitchell serves as manager and chief author of the Trustico Blog® in addition to his role as a support agent for Trustico® by Red 16, Inc.
Mitchell’s primary interests are technology (particularly AI), politics and philosophy. As someone with a keen interest in tech and philosophy, Mitchell believes that AI is the modern human’s greatest philosophical encounter. Already, humanity battles with concepts of what it means to be human, what the hypothesized technological singularity may reap, and the adversities that intellectually superior machines may present. Regardless of what comes, AI is a genie that is well and truly out of the bottle, and Mitchell likes to keep himself and his readers up-to-date with its latest advancements. Mitchell writes about a plethora of topics here at the Trustico® Blog, not just technology and AI. Naturally, SSL/TLS and cyber security feature heavily. All opinions expressed are the author’s own and do not reflect Trustico® by Red 16, Inc.’s views nor the views of any other individual/s within Trustico® by Red 16, Inc.